The June 7th Movie Showing Has Been Cancelled Due To Rain. 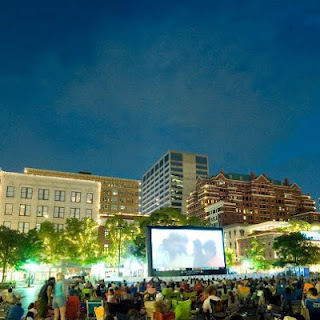 You can enjoy the movies inside anytime but break away from the norm and enjoy FREE movies under the stars in Fort Worth’s Sundance Square. That’s right, you can take advantage of FREE movies under the stars on the big screen every Thursday evening in June beginning June 7th with the feature movie “Cars”. A new movie will be featured each Thursday. This is a great way to enjoy some summertime fun with your family outdoors. Visit Sundance Square for more information. * The location for this year is Gateway Parking Lot bordered by 4th Street, Houston Street, 5th Street and Throckmorton. Just look for the 58″ Airscreen. * Bring blankets and chairs for seating. Folding chairs will be available for rental at a rate of $2 each if needed. * You may bring “to go” food items in from surrounding Sundance Square restaurants but you are not allowed to bring other outside food, drinks or coolers. Previous postGet Your FREE Trial Pair of Contacts Today!